West of England Mayor, Tim Bowles, took part in a mentoring session for young people as he launched a new ‘Unexpected Mentor’ campaign today (Thursday 2 November). The campaign, which aims to widen the appeal of mentoring to employees and entrepreneurs, was launched jointly with the chief executive of The Careers & Enterprise Company, Claudia Harris, at Bristol-based OVO Energy’s headquarters. OVO Energy launched a mentoring programme with West of England Mentoring (WEM) in September. Fourteen employees are involved, supporting more than 30 secondary school students at City Academy and Oasis Academy Brislington. WEM is now looking for more local businesses, especially those with a diverse workforce, to get involved, and share their experiences and expertise with young people. West of England Mayor, Tim Bowles, said: “As a region we need to ensure we have the right skills for businesses now and into the future and we must encourage young people to realise their potential. According to The Careers and Enterprise Company young people with mentors, especially those at risk of disengagement, have more positive visions of themselves and their futures, and can achieve more in school, work and life. 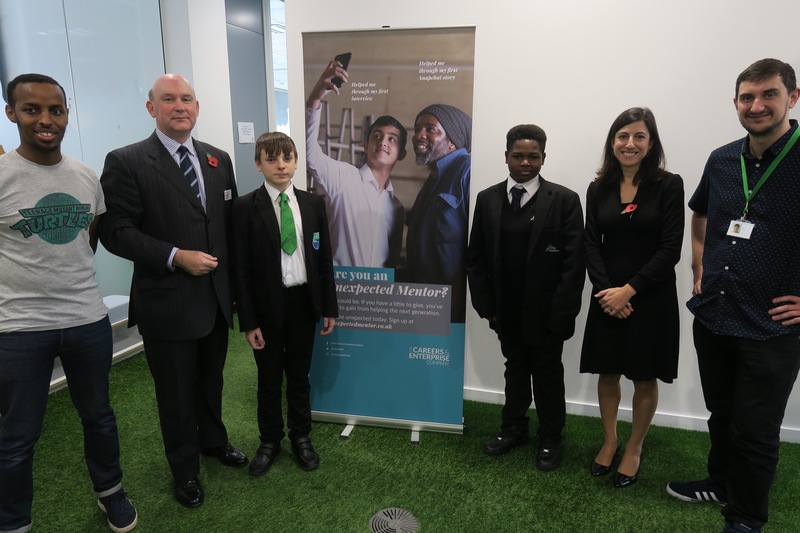 Chief Executive Claudia Harris, said: “Our organisation is involved in helping young people make successful transitions into the world of work. Matching a young person with a mentor can help with this. The ‘Unexpected Mentor’ campaign presents an excellent opportunity to collaborate with colleagues across the country and we are delighted to be working with the West of England Mayor and companies like Ovo whose commitment to mentoring is outstanding. WEM is a consortium of Ablaze, Mentoring Plus and Babbasa, delivering best practice in mentoring across the region. WEM is currently working to reach 450 students and involve more than 15 employers across Bath & North East Somerset, Bristol, North Somerset and South Gloucestershire this year alone. Gaby Sethi, Head of OVO Foundation and Corporate Social Responsiblity, said: “This year marks the first time OVO has been involved in the WEM programme, and we’re excited to already see the difference the programme can make, for both the students and mentors. Image: OVO mentors with students from Oasis Brislington and City Academy. From left: Mo Osman, OVO; Mayor Tim Bowles; Thomas Matthews, Oasis Brislington; Clive Timling City Academy; Claudia Harris, Careers and Enterprise Company; Neal Martin, OVO.